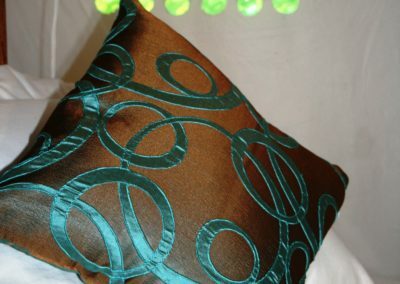 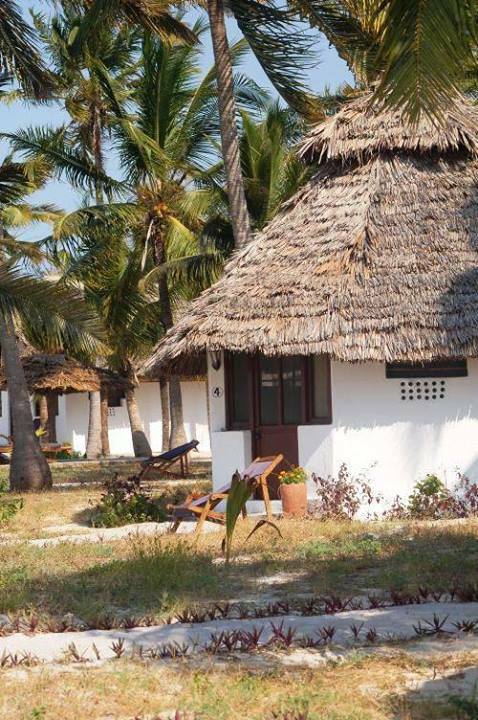 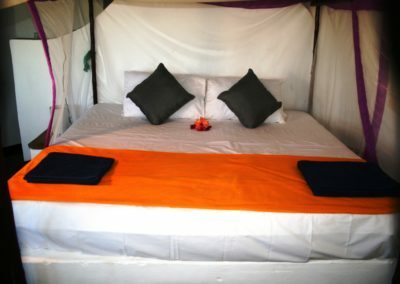 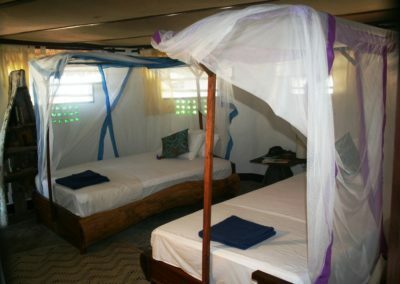 Are you looking for a beach room in Kilwa? 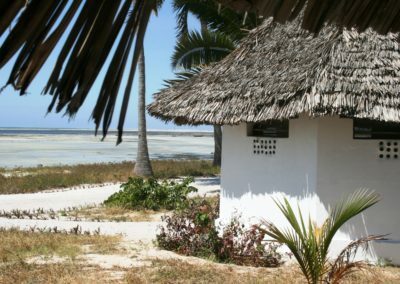 Only metres from the sand, the beach banda rooms were built to incorporate two forms of environmental building – recycled eco-building and more traditional manual techniques..
​The bandas were constructed by a team of local fundis (Tanzanian buidling experts) and a group of environmental builders from the UK. 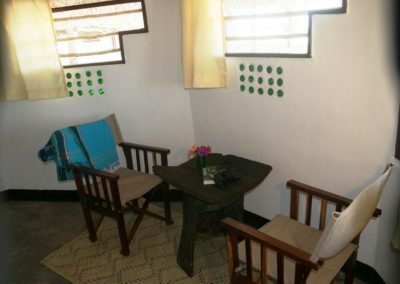 Skill transfer between the groups was high and everyone learnt something new. 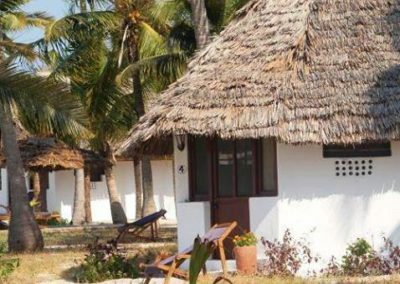 ​Much of the building materials used in the constructionof the beach rooms in Kilwa, including palm leaves for the makuti-thatch roofs and mangrove poles for support, are natural and blend seamlessly into the environment. 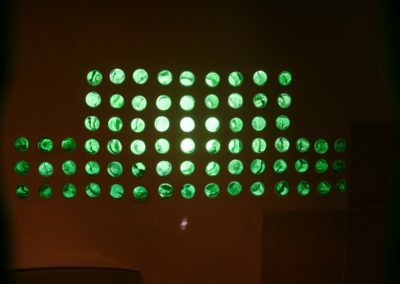 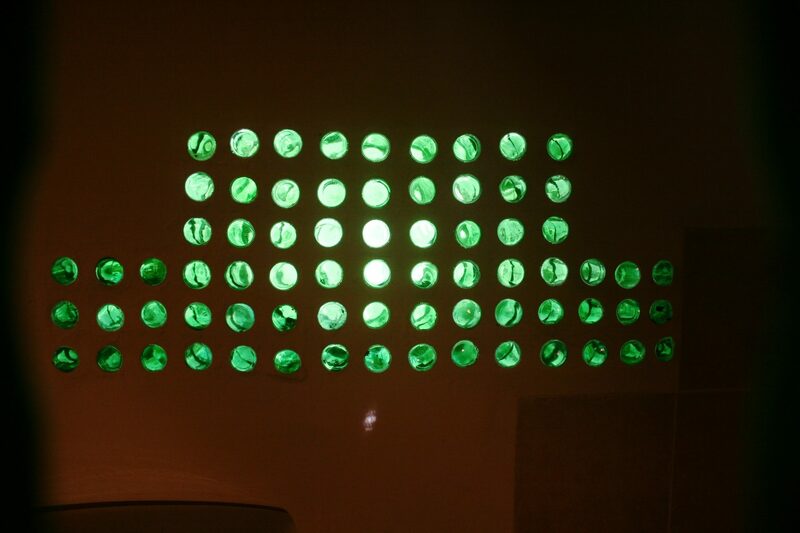 The bathroom windows on the other hand are made from recycled glass bottles and the beds and many of the walls are constructed using super adobe – an environmental building method pioneered for moon landings. 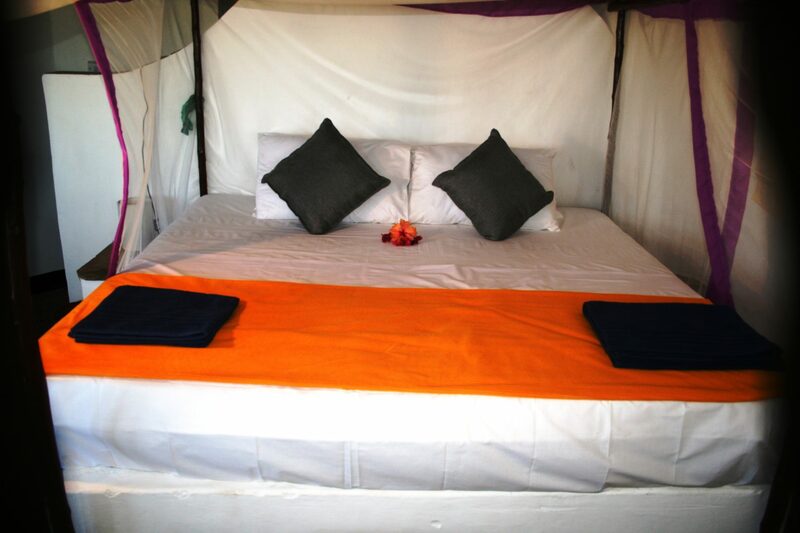 Travel cot is available on request with prior booking. 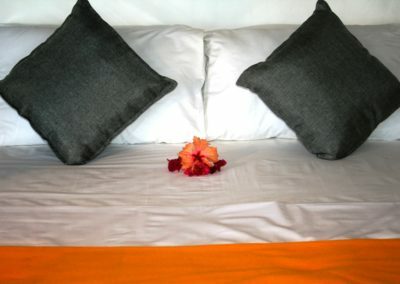 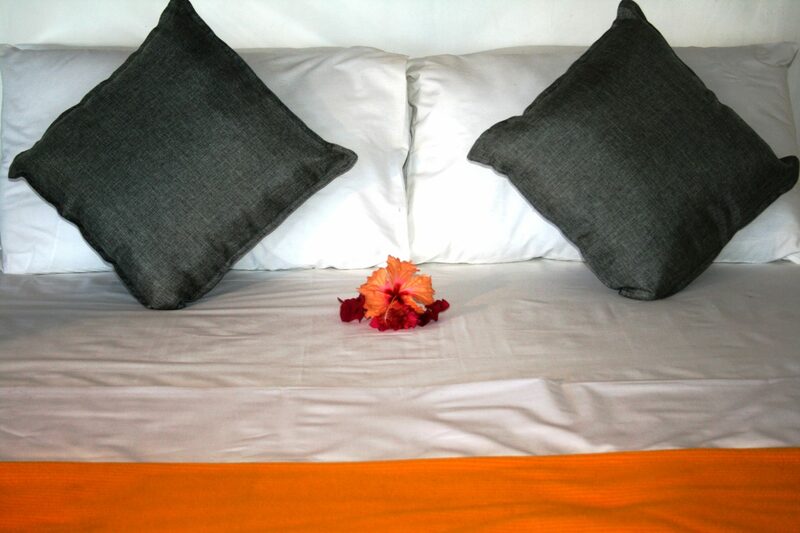 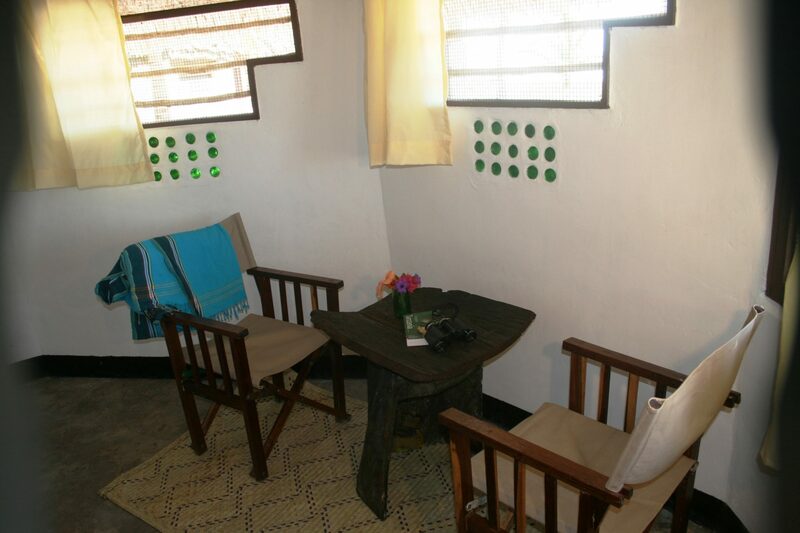 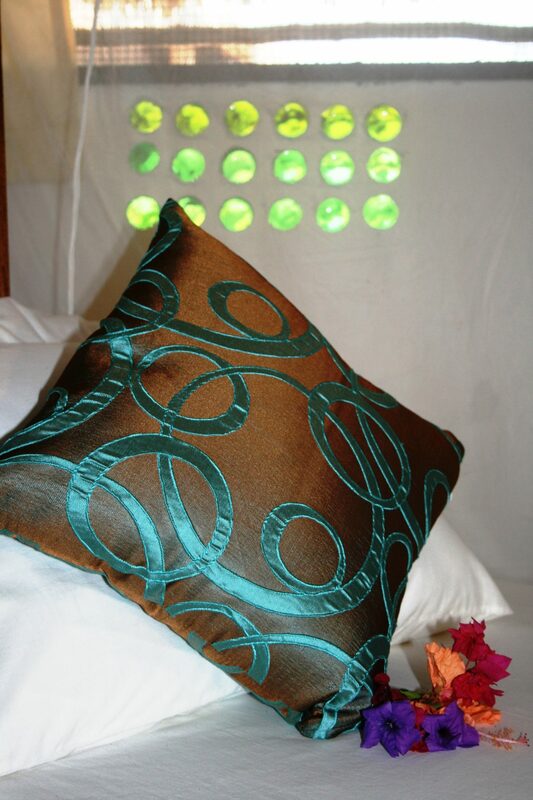 We have both double and twin beach rooms in Kilwa – let us know when booking.